Hawkes Merged with Boosey in 1930 and the pyramid badge was introduced in 1935. Ajax had a close relationship with the Ludwig and Leedy companies in America. 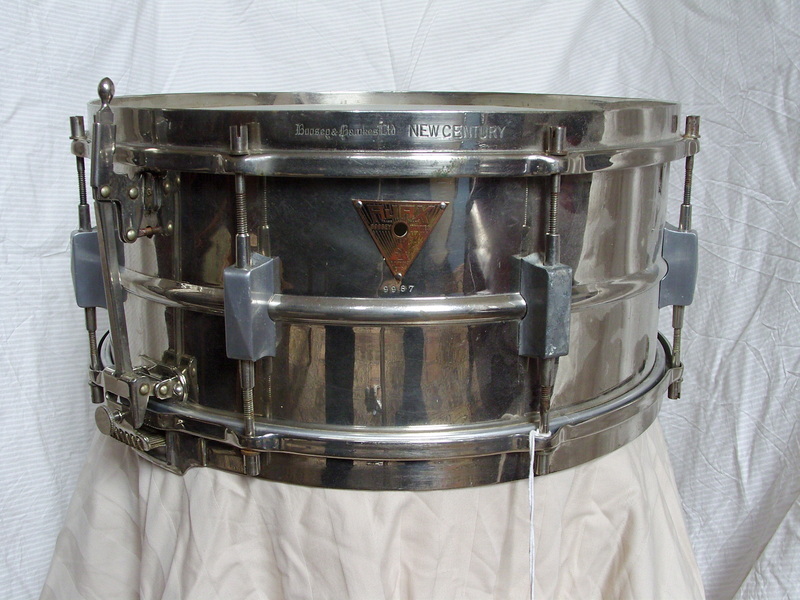 This drum has the early Leedy 'Bow-Tie' or 'X-Lugs' found on many mid 1930's drums. This drum is 100% original and complete.